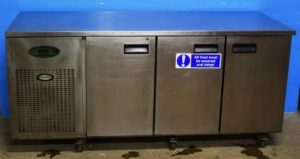 Very rare to our marketplace, in the 20 years we have been selling commercial catering equipment, these are the first we’ve had in. This is a fully operational breading table recently sourced from a chain of southern fried chicken outlets. 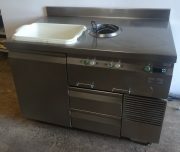 We have two of these integrated tables making them ideal for the start up fried chicken enterprise. Brand new they were over £5k making the price and availability hard to beat.